Clean Sweets - Description | W. W. Norton & Company Ltd. Healthy eaters have long tried to find ways to satisfy a sweet tooth but many Paleo-style desserts are complicated and include hard-to-find ingredients. 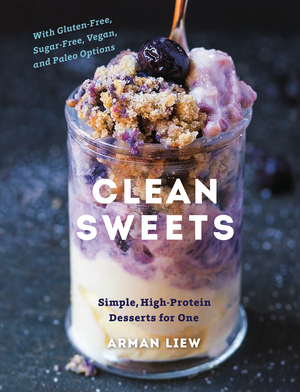 Arman Lew discovered a way to have his cake and eat it too—in creations that indulge the appetite and are full of nutrients. From breakfast reinvented to no-bake treats, there is no tapioca flour, coconut nectar or xanthan gum to be found here.